Guides were updated on Sept 15, 2016! 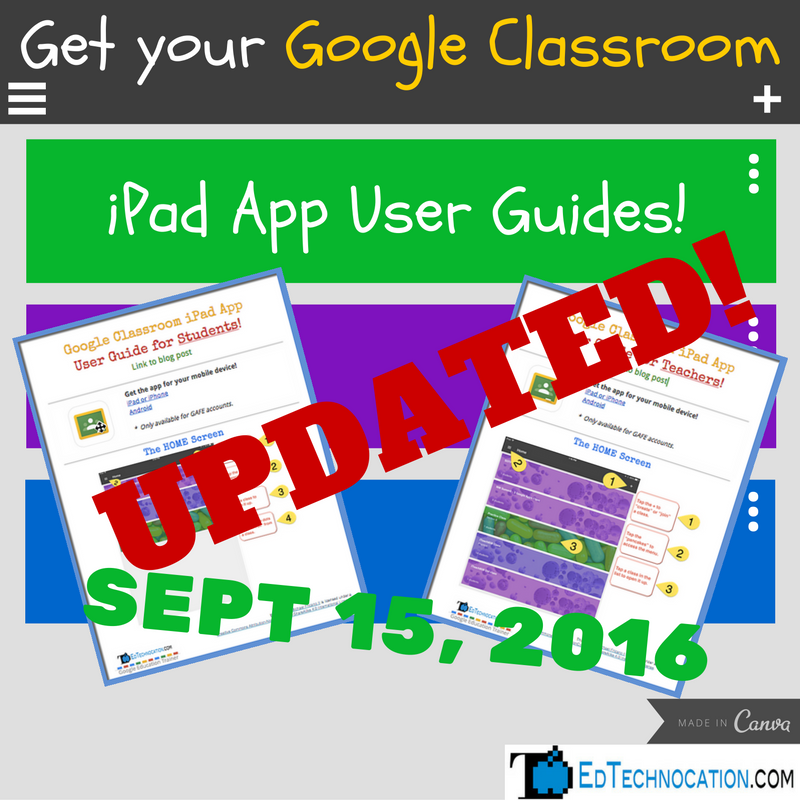 Get your FREE user guide for the new Google Classroom iPad App! Google released an Android & iOS app for Google Classroom. It's not full featured (yet) so it's important that teachers and students understand exactly what you can and can't do with the app. I've created two separate user guides, one for teachers and the other for students. Both give a breakdown of the various screens you'll encounter while using the app, and also what exactly can be done on all those screens. A teacher's view is different from a student's view, so it was necessary to create the two separate guides. It's also very important to understand that the app is not full featured, meaning it doesn't allow you to do everything that you can do on the web version. More features are definitely soon to come. Don't forget to submit your feedback if you'd like to see a specific feature! The Google Classroom team is listening and prioritizes all user feedback! The Google Classroom iPad App User Guide for Teachers! Click to access the Google Doc. Feel free to print or save! Google Classroom iPad App User Guide for Students!